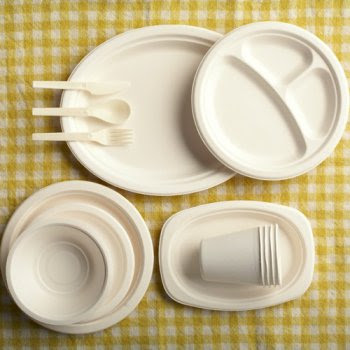 I haven’t quite thought of what food to take on this picnic yet, but whatever it is, I know I’d enjoy eating it off these 100% Biodegradable utensils, made from a byproduct of the sugar refining process. Hmm. 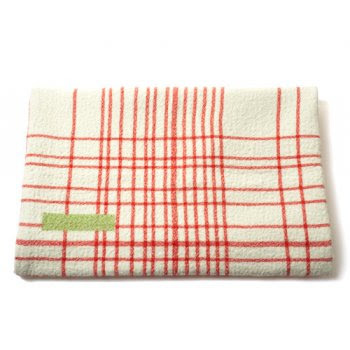 If I really owned the Tracks plaid blanket, I doubt I’d take it on a picnic, but seeing as this is all in my imagination, I’ll pack it. I know it would look great against the soft green grass. 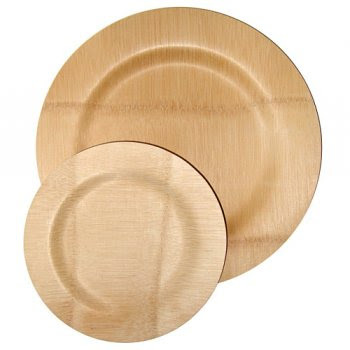 The food bit of this virtual picnic is still a mystery, but I think I’ll steer clear of the beetroot – I don’t want it staining my beautiful bamboo veneerware plates, do I. 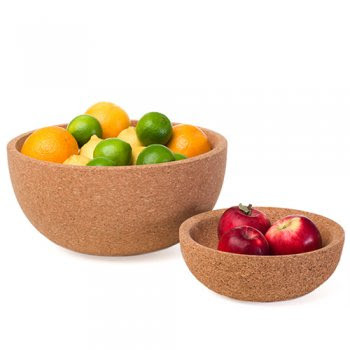 And while bamboo is the new wonder material, corkâ€™s still pretty amazing too, and I like these cork bowls from Portugal, great for strawberries, don’t you think? 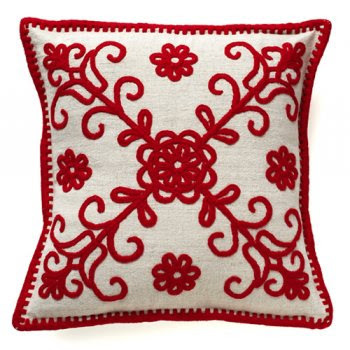 Post picnic, with tummies full of yummy food, it’s time to recline in the shade on a beautiful hand-embroidered cushion, made in Romania. 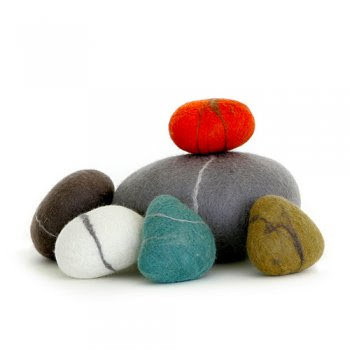 And the more sporty-minded might prefer to toss around a couple of felted pebbles instead of a frisbee. (Ok, this is stretching my picnic vision just a bit, but I was awfully excited to find that these stylish pebbles are from a job creation project in Johannesburg). Plan your own glam picnic, or just a life of sustainable style by taking a visit to Branch.